The Catalyst Coaching Institute offers the nation’s first business training specifically designed for those completing a wellness coach certification. 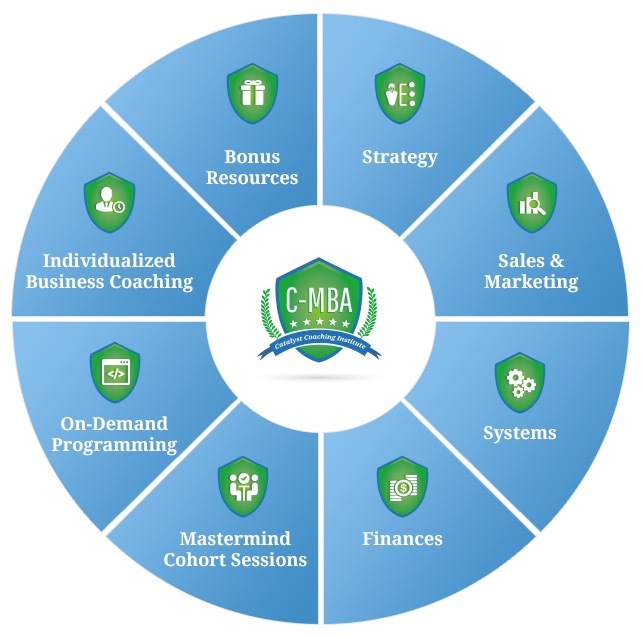 Our Wellness Coaching MBA (C-MBA) provides the practical tools, skills and resources to successfully launch and grow a business. Additionally, we designed the program to cater to both business rookies and experienced professionals, so anyone can benefit from this well-rounded training. Available on demand, on your schedule with individual coaching sessions and peer collaboration.